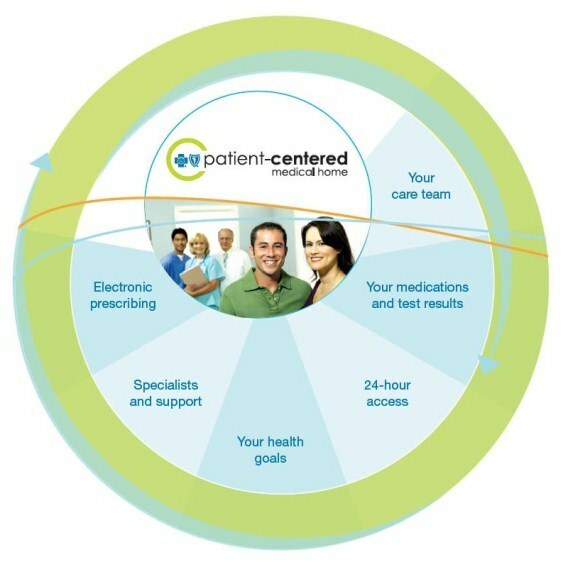 We are a Patient-Centered Medical Home! A Patient-Centered Medical Home (PCMH) is a trusting partnership between a doctor led healthcare team and an informed patient. It includes an agreement between the doctor and the patient that acknowledges the role of each in a total healthcare program. Flint, Mich. (June 27, 2011) — Blue Cross Blue Shield of Michigan has designated Flushing Road Internal Medicine and Pediatrics as a Patient-Centered Medical Home practice for 2011–2012. That means that we are part of a small but growing group of physicians in Michigan who are improving health care quality by adopting the PCMH model of care. You can read the full news release here. We ask what your goal is, or what you want to do to improve your health. We ask you to help us plan your care, and to let us know if you think you can follow the plan.